The video in 4K resolution timidly entered the market, but little by little it has been spreading and at present its representation is very big. Many TVs are compatible with this resolution, video game consoles also, smartphones such as the iPhone X, 8 or earlier versions and of course the computers have enough capacity to play videos in this resolution. Considering its expansion and current popularity it is possible that you need software to be able to work with them comfortably. That’s why today we want to talk about MacX Video Converter Pro , the fastest 4K video converter on the market today, and give you a license. The software has recently received an update that includes important developments as we will see below and that is why its managers have decided to give away 10,000 licenses . These free licenses (the usual price is $ 59.95) allow you to use all the features of the latest version of MacX Video Converter Pro and differ only from the payment licenses in that they do not give access to future software updates. The new version of MacX Video Converter Pro has focused especially on improving its compatibility with 4K video and also with the H.265 and HEVC formats . This makes it the ideal software to make the most of the new format used by iOS 11 and macOS High Sierra. In addition, with this new version its developers have made sure to create a very fast software. According to the tests they have made the software is capable of converting an MKV video (H.264 + AC3, 1920 × 1080, 02:07:22) to MP4 in just 15 minutes , up to 6 times faster than the popular HandBrake. Have you ever watched a video on Facebook, YouTube, Vimeo or other websites and wanted to save it on your computer to watch later? 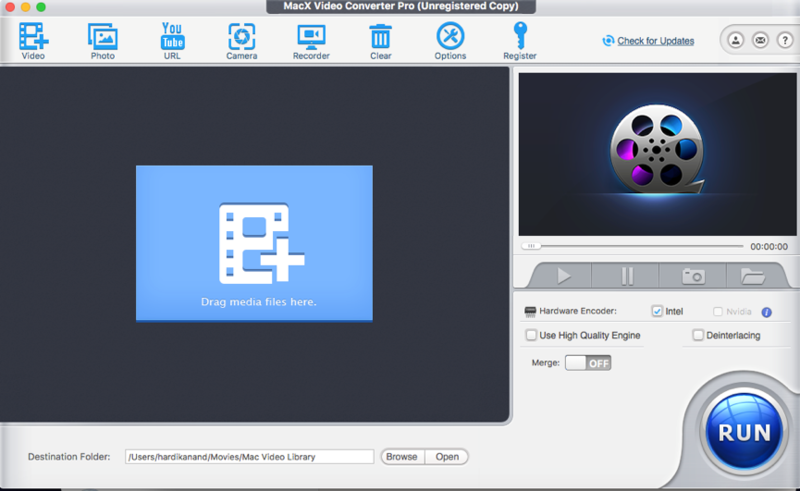 This is not always a simple task, but with MacX Video Converter Pro it is possible to download them in a matter of a couple of clicks. In addition, it is also possible to create slideshows with photos and music quickly and with very attractive results. At the beginning of the article commented that at this time it is possible to get a license for free software, but it does not give access to future updates. If you have tried the application and you think it will be useful, you can now buy a full MacX Video Converter Pro license with lifetime updates at a very special price.